Learn how to create your first WordPress site without any technical knowledge in less than 24 hours with our 11 part step-by-step video tutorial series. …then this will be the most important webpage you ever read. Maybe it’s because all she wanted to do was get a site up and running… and skip all the hard parts. 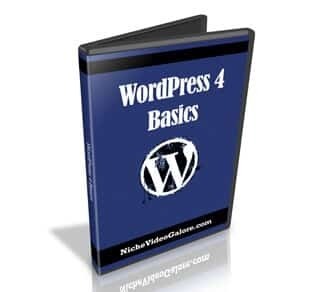 These are the most basic and easy to followed WordPress videos you will ever watch. After you watch these videos, you’ll know how to operate a WordPress site. Step #1: Stop everything you’re doing and order securely below now. Step #2: You’ll come to a download page where you can download all 11 of these WordPress videos. Step #3: By the time you’re doing watching the videos, you’ll know everything you need to know to get a site up and running using WordPress.